This brand new APS-X T-N.T APS-X Hop-Up System will push the barriers and have your WE GBB Series surpass its previous range by another 10 or even 20 meters. It'll stay accurate as the 6.03mm inner barrel and Hop Up rubber is included in the set up! 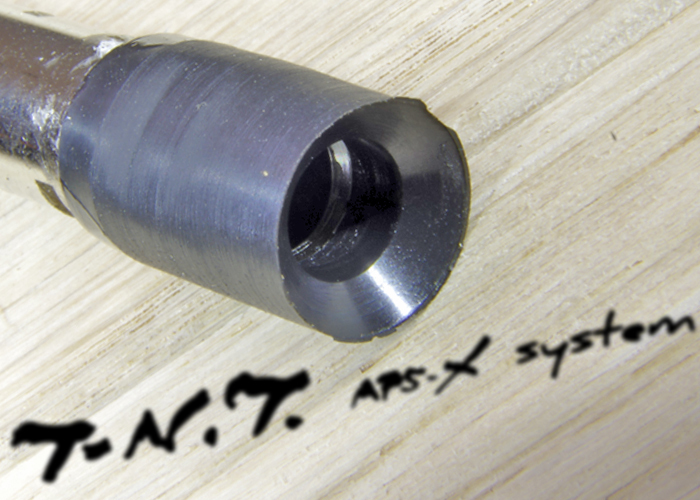 TNT's APS-X New Revolutionary Hop Up System Barrels are available for for 90% of the airsoft guns in the market, including airsoft pistols. 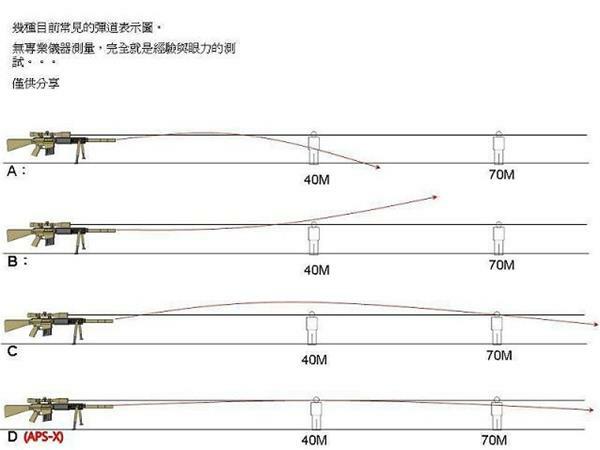 These barrels are made to Increase the base range of your gun to 30M and 40M. It provides a straighter flight path. 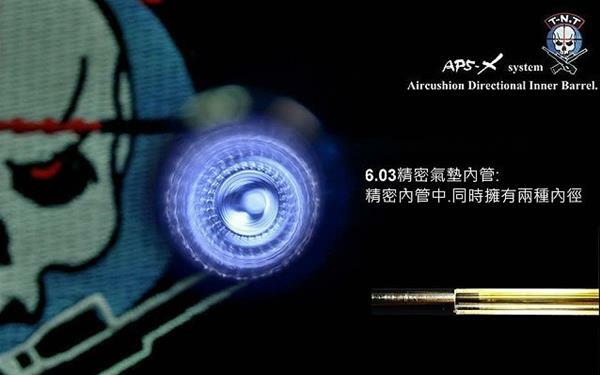 pushes for further range whilsts maintaining the approximate same power output and minimal air loss. 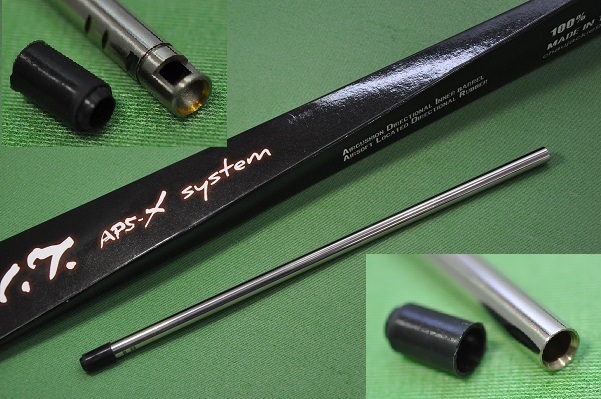 APS-X system uses a regular expansionary bend(like a funnel) to position the BB bullet when the BB is loaded into the hop up system.This allows the BB to be loaded smoothly and effectively into to the right position in the barrel. By ensuring that the BB is in a right position in the barrel, this will provide each shot with a greater shot consistency. When the BB passes through the barrel, it can use the maximum frictional force of the hop up to rotate within the barrel and ride the air cushion gun created in the barrel. This allows the BB to fly in an accurate and consistent direction wherever you decide to point your gun. Just by replacing your inner barrel & hop up bucking with TNT's APS-X system, you can ensure that your weapon's effective range will increase to 50M or more. Disclaimer: The range and accuracy claim is from the manufacturer. 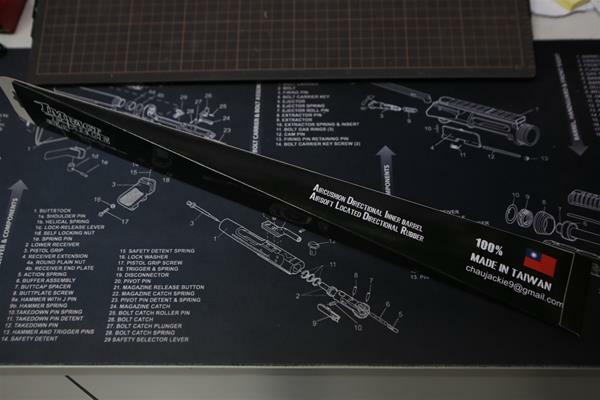 Range and Accuracy of gun is also affected by a whole lot of other factors in a gun and we cannot guarantee that by installing this barrel, you will achieve the said range and accuracy claimed by the manufacturer of this product.